Two of North America's foremost vegetarian dietitians present up-to-date findings on the benefits of a vegan diet--eating without meat, eggs, or dairy products. 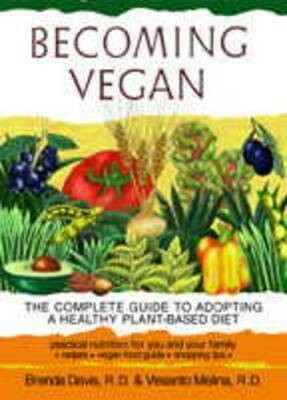 Includes information on how a vegan lifestyle protects against chronic disease; what the best sources for protein and calcium really are; why good fats are vital to your health; balanced diets for infants, children and seniors; pregnancy and breast-feeding tips for moms; tips for teens turning vegan; considerations for maintaining and reaching a healthy weight; and achieving peak performance as a vegan athlete. A vegan food guide outlines a daily plan for healthy eating. Sample menus help remove all the guess work. Also included are the benefits a plant-based diet has on the environment and human hunger. This is one of the most comprehensive books on vegan nutrition on the market.